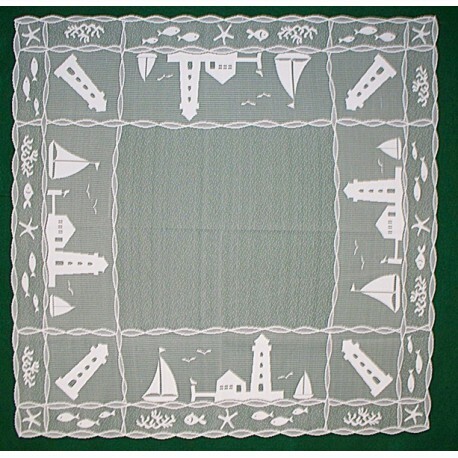 If you have a cottage home or perhaps you decorate in the lighthouse theme, this is a must for your home decorating. 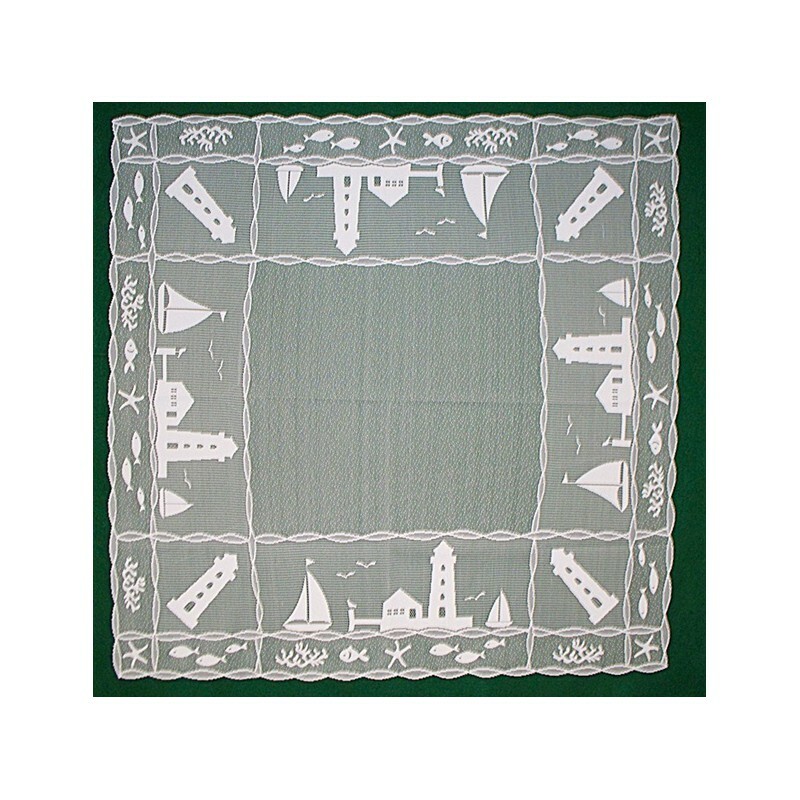 Place this table topper over a beautiful blue material and the design in this topper will pop out at you. Add a centerpiece of perhaps a lighthouse figurine or arrangement of seashells and sand in a glass jar . How stunning this would look. 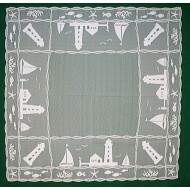 This is a Heritage Lace production and this pattern has been retired.